What is the Coat of Arms of Mongolia and the meaning of it? The official coat of arms of Mongolia (Mongolian: Монгол улсын төрийн сүлд, Mongol ulsyn töriin süld) was adopted in 1992 following the fall of the communist government. The outer rim features a tumen nusan, symbolizing eternity, surrounding a circular blue field, symbolizing the sky. On the centre of the field is a combination of the Soyombo symbol and the wind horse (treasured steed), symbolizing Mongolia's independence, sovereignty, and spirit. Above the field is a chandmani, representing the Buddhist Three Jewels, which in Mongolian folklore grants wishes, and symbolizes past, present, and future. Below the central emblem is a green mountain range, with the wheel of destiny at the center. On the bottom of the mountain range and wheel is a khadag, a ceremonial scarf. What is the National Flag of Mongolia? The current flag of Mongolia was adopted on February 12, 1992. It is similar to the flag of 1949, except for the removal of the socialist star. It has three equal, vertical bands of red (hoist side), blue, and red. Centered on the hoist-side red band in yellow is the national emblem. What is the State Emblem of Mongolia and the meaning of it? The symbol of Bogd Khaan monarchy from 1911 was the Soyombo, which was adopted as Mongolia's national emblem in 1924 at the first meeting of the Great Assembly (parliament). 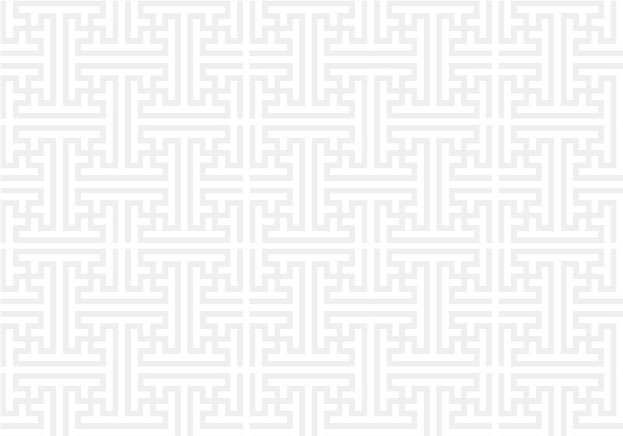 The Soyombo has a long tradition as a national emblem, having been invented by Under Gegeen Zanabazar, a descendant of Chinggis Khaan and founder of Mongolian Lamaism. The People's Assembly held in 1992 adopted a Constitution to include: the national emblem, the flag, the Nine White Banners and the anthem. The biographies of Undurge-geen Zanabazar, who created the Mongolian alphabet in 1686, are significant because they contain the Soyombo alphabet, a symbol of Mongolian independence and sovereignty and the state emblem. Although the alphabet has not been adopted in general, many old manuscripts written in Soyombo have been stored in the Erdene Zuu monastery, now a museum, where there is a unique book on the history of the Soyombo alphabet, published by Lama Dambadorj in 1799. One excerpt from the treasured writings by Undurgegeen Zanabazar in Soyombo script reads: "By the mercy of the heavens in the year of the Fiery Snow Leopard, the last year of the eleventh sixty years, many ideas of the holy man Zanabazar were realized. It was then that Bogd (one of the titles of the highest lama) transferred his throne to the datsan (monastery) of Ribogei-Gandan-Shadiblin from where he spread his spiritual power over the land of the Blue Mongolians. In that year he cast his eternally famous statue of the serene faced Goddess Tara. During the twelve days of the month of the Monkey, Zanabazar completed his life's work, the Soyombo alphabet." The three-pointed flame on the top of the Soyombo symbolizes the flourishing of all people young and old, past, present and future. The representation of the sun and moon under the flame represents the everlasting blue sky and indestructibility of Mongolia. The triangle under the flame, sun and moon, represents a sharp spearhead to protect the nation from all enemies. The small shield-like rectangle on the Soyombo represents honesty, stability and loyalty. The yin-yang circle encloses male and female fish. Mongolians believe that fish never close their eyes and have many offspring, so this is a sign to stay alert and have a big family. The two vertical oblongs on the side represent a wall. If Mongolians remain in harmony with their motherland, they will be stronger than any iron wall. The Soyombo exhorts Mongolians to flourish like a flame; to be as bright as the sun and moon; as straight as an arrow; safe as Armour; alert and plentiful as fish and as strong as an iron wall. Always shine like the moon and the sun. Always be sharp like an arrow and a spear. Always be strong like armor. Always be watchful like fish. MIAT (national flag carrier), Air China, Aeroflot and Korean Air have regular flights to the capital of Mongolia Ulaanbaatar. MIAT flies to/from Tokyo, Beijing, Moskow, Berlin, Seoul, HongKong and Osaka. Air China flies from/to Bejing. Trans-Siberian train on a weekly basis goes to/from Ulaanbaatar, Moskow and Beijing. The tickets could be obtained through travel agents. There is a direct train from Russian town Irkutsk to Ulaanbaatar, Mongolia. Train to/from Inner Mongolian bordertown Erlian from/to Ulaanbaatar goes on a regular basis. 3. Both Mongolian-Russian and Mongolian-Chinese borders can be crossed by feet. 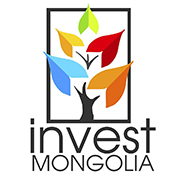 Visas can be obtained at the nearest Mongolian embassies and consulates. Does my country have a Mongolian embassy and/or consulate? 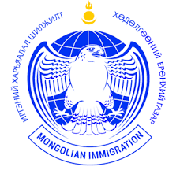 See the list of Mongolian embassies and/or consulates in the Visa section of this website. Mongolia is located in between Russia and China. Is Mongolia a part of China? Mongolia is an independent republic. What is the principal language in Mongolia? Mongolians speak Mongolian language. Mongolian is the national language of Mongolia. Is the Mongolian language similar to any other languages? Mongolian language is a unique language and not similar to any other language. What script do the Mongolians use? Mongolian is written in cyrillic. What is the name of the capital of Mongolia? Capital city of Mongolia is Ulaanbaatar. What do the Mongolians eat? There is a wide misconception that Mongolians eat only meat. Mongolians widely use dairy products and vegetables. What is the Mongolian currency? Mongolian national currency is called Tugrug (төгрөг). The currency rate is USD1.00 = ₮2,432.00 (Jan 15, 2018).